Johannesburg - The downgrade to junk status will trigger a number of economic setbacks, which will impact living standards of South Africans, the Institute of Race Relations (IRR) said in a statement. Ratings agency Standard & Poor’s (S&P) downgraded South Africa’s foreign currency sovereign credit rating from BBB- with a negative outlook to BB+ on Monday. 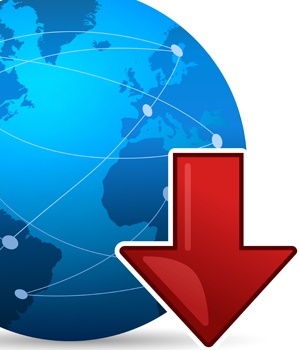 “The downgrade greatly complicates the prospects for South Africa being able to stage an economic recovery. Without a growth recovery, employment growth and revenue collection will stagnate and may even decline,” said CEO, Frans Cronje. This will translate into declining living standards of the poor and middle class in South Africa, he said. “A priority for policy makers must therefore be to take urgent steps to ensure that South Africa does not now move through a destructive cycle of multiple downgrades.” Cronje called for the decision to have Malusi Gigaba appointed finance minister reviewed. “While we had been prepared to adopt a wait and see attitude to the new minister, his comments since being appointed, particularly those criticising what he called ‘orthodox economics’, were reckless in the extreme and suggest that he will not be able to navigate the South African economy through a very sensitive era”. On Saturday Gigaba told journalists at a press briefing that his appointment would see radical economic transformation come into effect. In his address, Gigaba said that Treasury belonged to all South Africans and not necessarily “orthodox” economists, big business, powerful interests and international investors. At a briefing on the South African Revenue Service (SARS) revenue collection for 2016/17, Gigaba further said that changing an individual would not necessarily lead to a downgrade. He also previously told journalists that he had robust conversations with ratings agencies Moody’s and Fitch last week. Gigaba said he was scheduled to have a telephonic conference with S&P on Sunday night. This contrasts with former finance Minister Pravin Gordhan’s statements that work to restore confidence in ratings agencies, investors and businesses had not been undone by the Cabinet reshuffle. Business Leadership South Africa (BLSA) issued a statement indicating that the president was purely to blame for the downgrade given his decisions to implement a Cabinet reshuffle, replacing Gordhan and his deputy Mcebisi Jonas. BLSA echoed views that the cost of the downgrade would be felt by the poor, as higher interest rates and higher inflation is expected. Lower economic growth will also reduce investment and employment.